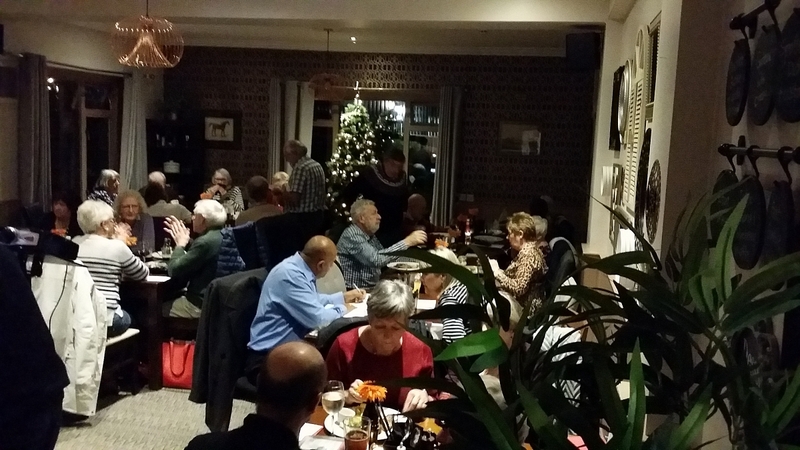 Kennet Valley TR Group latest Club Night was very well attended, 41 members plus 1 visitor attended the 'Natter & Noggin' evening to swap stories and of course Christmas cards with their friends. The pub had to bring in more chairs and tables! Phil Horsley presented the Club News and events and started his talk with the TR Register last 12 months highlight, a great reminisce video recently shown at the TRR AGM, click on this link to see the video, a great accolade to a fantastic car club. The Group also had a short discussion on future events and Phil ask everyone to submit their ideas so KVG can get a balanced set of events to please all. A Merry Christmas to all members!